Really excited to announce that we’ve added integration with Slack to ProtoShare for Google Drive. This lets you add and share mockups and prototypes directly in Slack. 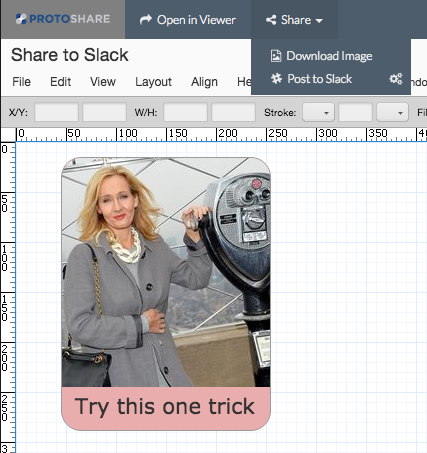 Post prototypes and mockups to Slack using ProtoShare for Google Drive. After you click “Post to Slack”, choose a Slack channel, make your mockup publicly readable (if you want others to be able to interact with the mockup) and a screenshot of the mockup with a link to interact with it shows up in your Slack channel. Add mockups and designs to your #slack channel. Clicking on the link brings up the mockup, allowing you to interact with it, and allowing other users to clone the design and make there own changes. 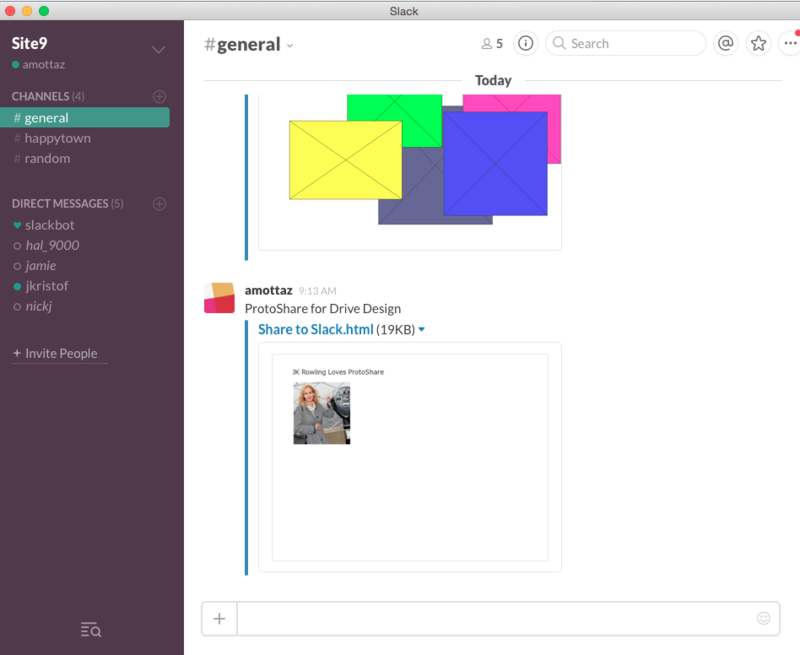 Slack users can interact with prototypes, or copy the design and make their own changes. We’ve been playing with this for a few weeks now, and it’s a lot of fun, and a really quick and useful way to illustrate your ideas in Slack. Give it a try and let us know what you think! 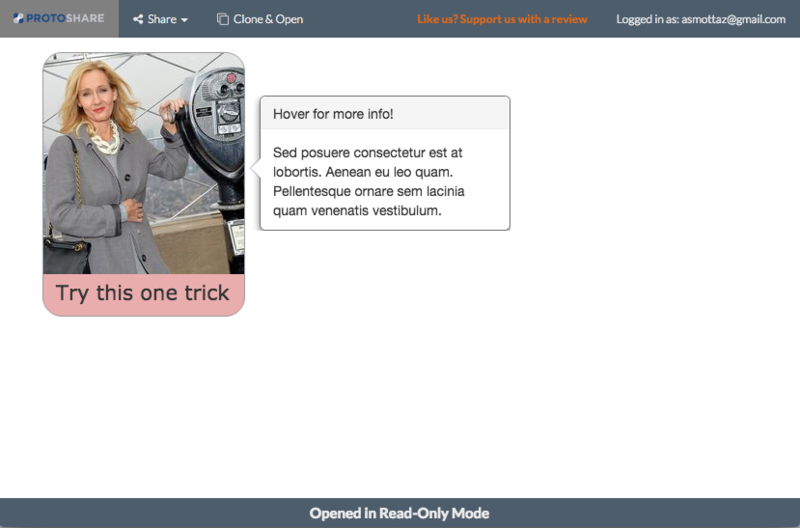 This entry was posted in Industry, ProtoShare Tips & Tricks, Prototyping Benefits, Uncategorized. Bookmark the permalink. Previous post: What color should that button be?